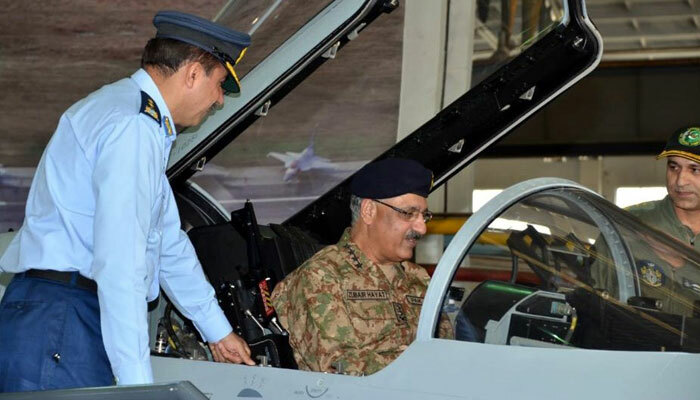 General Zubair Mahmood Hayat, Chairman Joint Chiefs of Staff Committee, visited Pakistan Aeronautical Complex (PAC) Kamra, today. 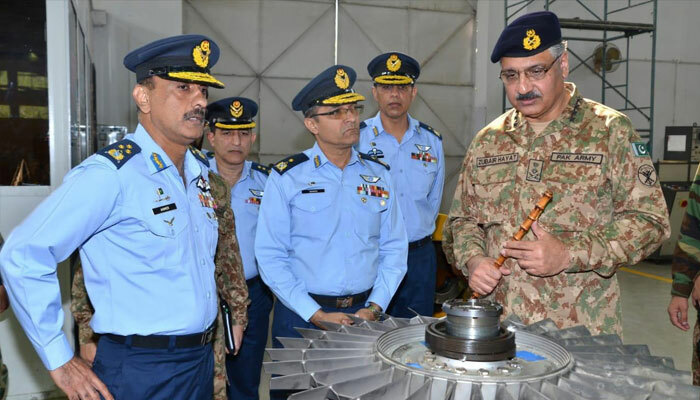 Chairman JCSC was briefed in detail about ongoing projects at different factories of PAC. 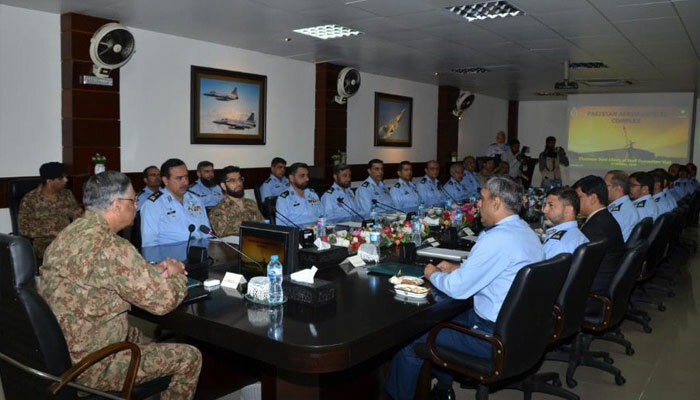 Chairman JCSC expressed his satisfaction at the direction of the work and progress being made. He declared that PAC is one of the flag ship organizations of Defence Production. Chairman JCSC lauded the achievements of PAC towards attaining self-reliance and international standards in all its projects. Chairman assured his full support for PAC in all its future endeavors. Earlier upon arrival, General Zubair Mahmood Hayat was welcomed by Air Marshal Ahmer Shahzad Legahri, Chairman PAC, Kamra.